Anita Gray came to the university in 2011 as the director of library services. 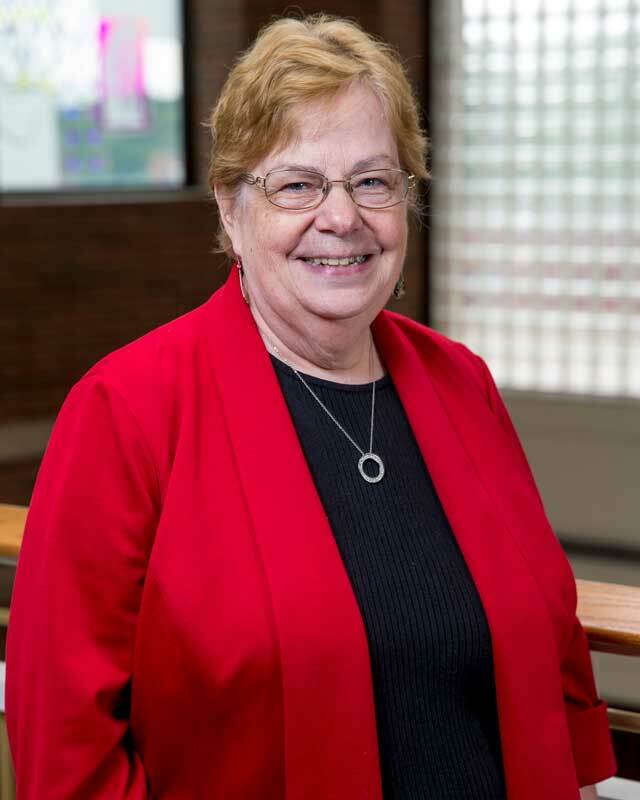 She earned a bachelor’s degree at Grand Rapids Baptist College (now Cornerstone University) and a Master in Science degree in Library Science at Wayne State University in Detroit, Mich. She has worked in the library at Grace College and Seminary, Taylor University Fort Wayne and Southern Wesleyan University. Anita’s professional passion is teaching Information Literacy. She says that unless we actually read, try to understand and filter information through the truth of Scripture, we can get caught up in the thoughts of the world and we might not be aware of what God wants us to know about our world and how we should interact with it. Students are Anita’s joy. Helping someone discover the sources they need for research or helping a student through a rough patch in life or studies brightens her day. Anita is the very proud aunt of three nieces, one nephew and 3.5 grand nieces and nephews. She enjoys NASCAR, college basketball (Go Foresters), and other sports. She enjoys time with her families, music, reading, and traveling.